We have just started a new ambitious project Zundoo. 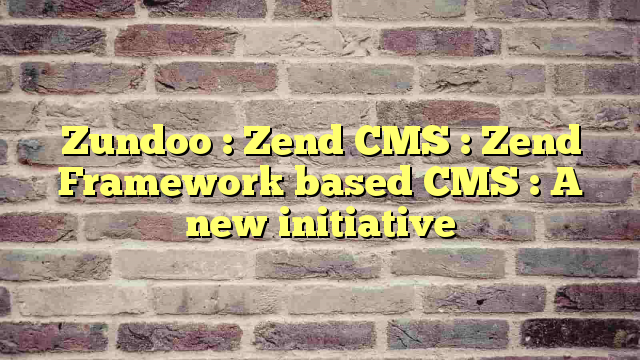 Zundoo is aiming to be a best project for a CMS based on Zend Framwork. This will one of the first Zend CMS in the market.